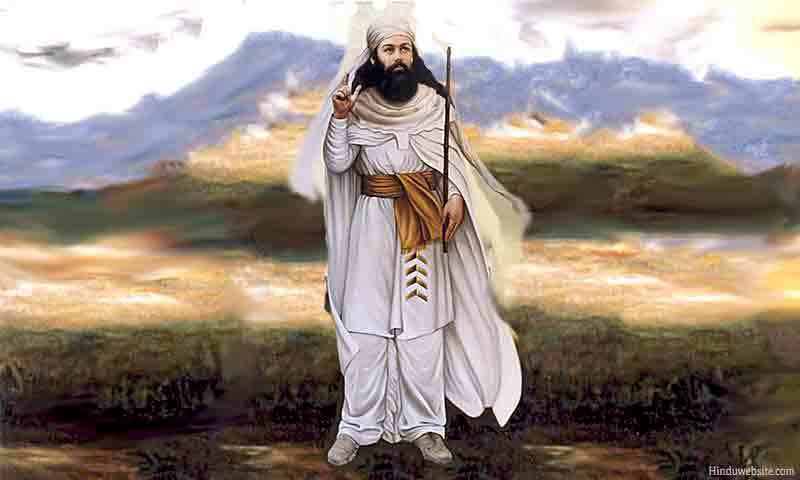 Most of the Zoroastrian scriptures were destroyed during the invasions of Persia by Alexander and later by the Arabs. But the Zoroastrian priests preserved some of the important sacred texts through oral tradition. The most important of these texts are known collectively as the 'Yasna' (yajna), which contains 72 'has' or sections. The five gathas or (stories) of Zarathushtra, are found among these sections only. These five gathas, especially the first one called 'Ahunavaiti' , contain most of his teachings and thereby form the core of the Zoroastrian religion. According to Zoroastrianism, God, the Creator, Ahuramazda, is one. Every thing emanates from Him and in the end dissolves in Him. He is the one and only. He is formless and He alone should be worshipped. Though He is formless, He has six aspects or emanations, called Amesha-Spentas, through which men are expected to approach Him. These aspects are like the rays emanating from the single eternal source of light. The first three aspects represents the Father-aspect of God while the remaining three represent the Mother-aspect. First among the six aspects is Asha-Vahishta. Asha means hope, an expectation. Asha Vahishta represents the divine event that is already ordained in the divine scheme of things. He is the reality that is continuously manifesting itself through divine will, according to the divine law. When a human being submits himself to the divine will and follows the divine laws, he is following Asha-Vahishta in the expectation of his own spiritual evolution. It is difficult for common people to conceptualize Asha-Vahishta and understand. As a solution, the prophet suggested fire to be used as the symbol for Asha by which people can easily recognize Him and meditate upon Him. Asha is divine, very remote and beyond human intelligence. But fire is very earthly and is regarded as one of the most common and familiar symbols known to the mankind since earliest times. Fire has certain special and distinct characteristics. It can consume as well as transform every thing it touches. Fire thus became the earthly symbol for the divine Asha and Zoroastrians started worshipping Him as fire. Fire thus has become a very central aspect of Zorastrianism. The second aspect of Ahuramazda is Vahu-mano, (Bahman), the divine wisdom, the supreme and immortal love, who sustains and supports mankind in times of difficulties and leads people on their path to God. He is the bestower of the pure mind or the good mind which is the basis for further spiritual evolution. He loves not only human beings but also all other creatures and therefore is truly a 'guardian angel' of the animals. We can please him by being kind to animals. The Parsis do not eat meat on certain occasions as a mark of respect to Him. Kshatra-Vairya is the third aspect. He is the supreme creative power of God and responsible for the maintenance of the whole creation. As the dynamic aspect of God, He teaches mankind the importance of action (karma) in their lives. On the physical plane he commands all the minerals, and through them measures and controls the physical strength of beings. The fourth aspect, Spenta Armaiti, is the Mother-aspect of God. She represents faith and single minded devotion to God. She is the friend and mother of those who are dvijas or the twice-born, that is those who have been initiated into the secrets of religion and spiritual life. On the physical plane she is the mother earth, who sustains all and nourishes all. The fifth aspect is Hauravatat. She is perfection personified. She represents all that is perfect, beautiful and harmonious in the creation of God. On the physical plane she is the water goddess who rules over the elements of water and the physical health of beings. Ameretat is the sixth aspect who is always found in the company of Hauravatat. She is the bestower of immortality and dispeller of fear of death. She rules over the vegetable kingdom and is associated with the tree of life and the tree of immortality found in the heaven. Ahura Mazda with these six aspects constitute the seven fold Lord of the Universe and fire is his purest and holiest creations on earth. In addition to these there is another divine power , the yazata Srosha, which was referred by Zarathushtra as the means to attain the path of salvation. Srosha is service (sushrusha of Sanskrit), obedience and devotion to God. When we cultivate this virtue we will be able to see the path of salvation clearly in front of us.